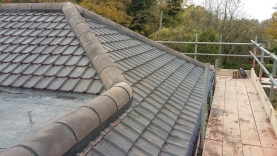 Situated in period buildings within an Oxfordshire village, this experienced husband and wife team have been connected to restoration and roofing for over 30 years. Two sons, Dean and Kane, have now joined the family business. Local community relationships have been built and maintained with service users, through continued training, quality checks and guarantees on work. Recommendations make up the biggest client base. The team is further enhanced with apprenticeship education. If the work cannot be undertaken by Longpine employees, rather than sub-contracting, another reliable local tradesman can be suggested. Every contact will receive a reply. 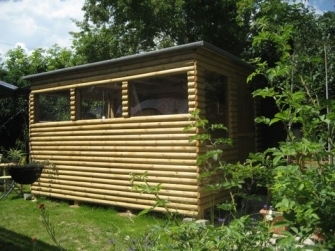 Longpine is insured, offers free of charge quotations, and guarantees on work. Longpine provides a wide range of related roofing services. Re-roofs can frequently be avoided, if quality improvements are made. Roof repairs to the eaves, valleys and gulleys will many times, suffice in resolving water ingress concerns. We will match current materials, finding reclaimed units, where appropriate, to retain the historic value of a listed building. Chimney restoration and pointing can redeem and strengthen stacks. Cowls and pots of various types fitted, ensuring heat and smoke emissions are safely extracted. For disused smoke shafts, capping is suggested. To prevent damp, inspection of the leadwork, flashing and re-sealing of adjoining surfaces is provided. 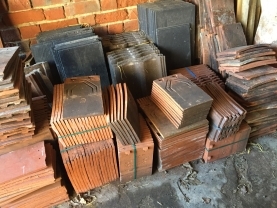 We hold stock of beautiful Welsh slate through to man made concrete tiles Flat roof installation and repairs are carried out, using quality membranes with a lifetime guarantee. There are limitless varieties and colours of corrugated sheets which, once fitted to a framework, offer internal or external covered space. Porches and pent roofs properly maintained, enhance the appearance of most dwellings. 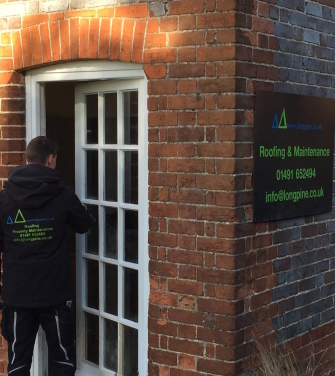 Longpine are fully insured and focused on providing high-quality services. One of the most under estimated trades, for its' importance, is painting and decorating. Whether internal or external surfaces, preparation and application are the key. The array of shades available in colour made to last, entices everyone to alter their decor. Increasingly, people are viewing their gardens as an extension of their living space. Shed and summerhouse bases prepared and layed. Patio and garden paving completed to customer specification. Another aspect to the services offered are supply and erection of fences, including, close board, lap, picket, post and rail, keeping secure boundaries looking neat. As members of the Guild of Master Craftsmen and accepted as employers of CITB trainees, work has to be to a high standard. Completed projects include restorative works to luxury housing for the over 55's. Stringent criteria have been met to complete tasks for vulnerable members of the community. Importantly, Longpine are most thankful to their many clients who have recommended them. Described as honest, reasonable and diligent, leaving properties neat and tidy, returning customers feel confident they are in good hands.